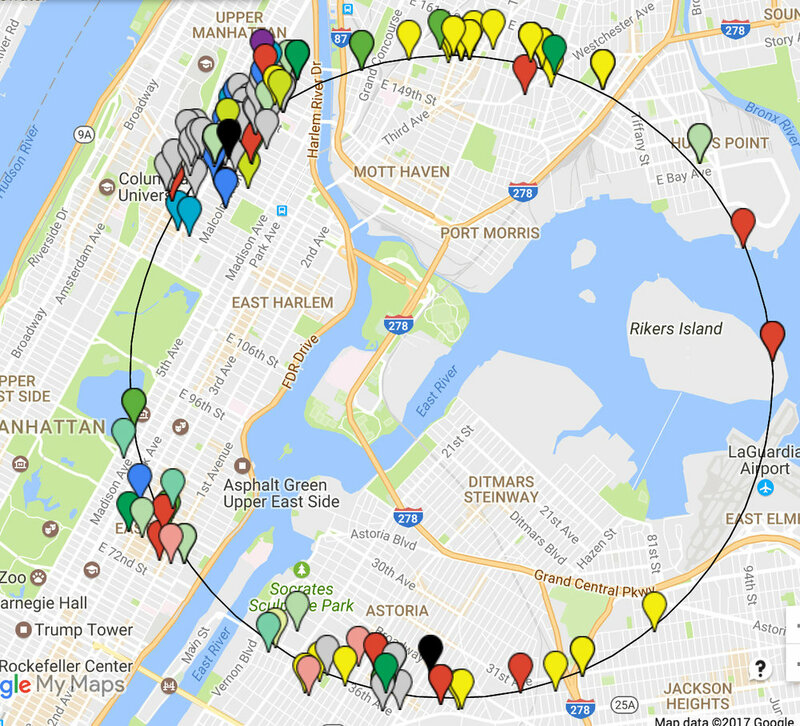 In the year leading up to the launch of ...circle through New York the artists Lenka Clayton and Jon Rubin walked, cycled and drove the imaginary circle through New York, visiting every public location that happened to fall on the line of the circle. Here is an early draft of the spinning wheel. This wheel will be given out for free at each of the six locations around the circle. It acts as an introduction to the project, and a map so that viewers can follow each circulating thing around the circle over the course of the project. Shop drawings of the signs that will stand outside each venue during the project. Currently in production.